This was fun to watch. 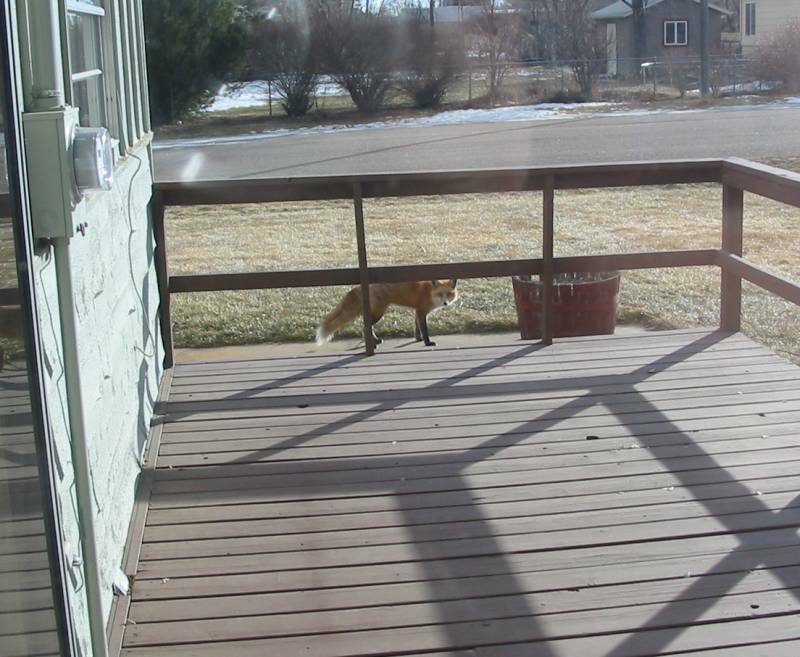 Fox vs squirrel. 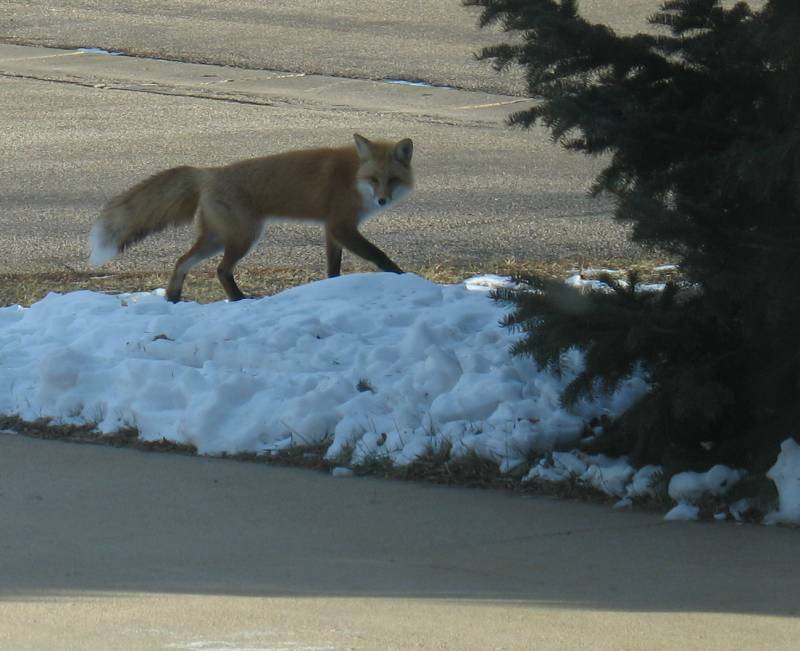 There was a squirrel near the tree when the fox came around. 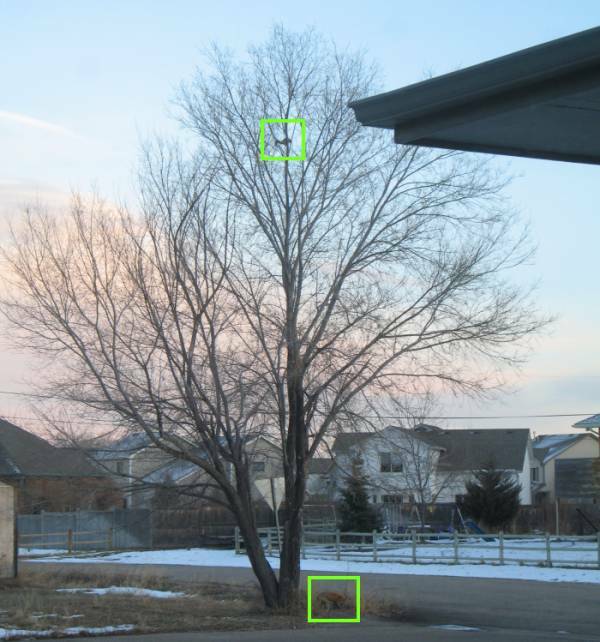 The squirrel jumped onto the tree and was about seven feet from the ground. 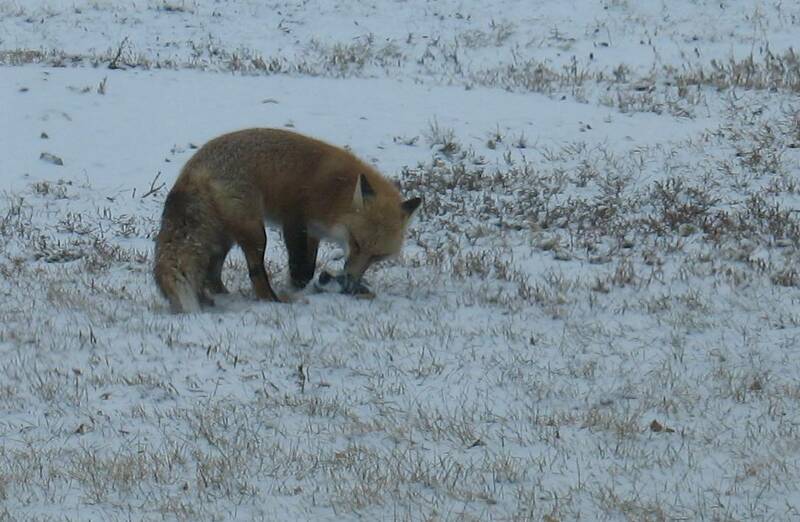 The fox rounded the tree a couple times eyeing up the odds while the squirrel flagged with its tail. 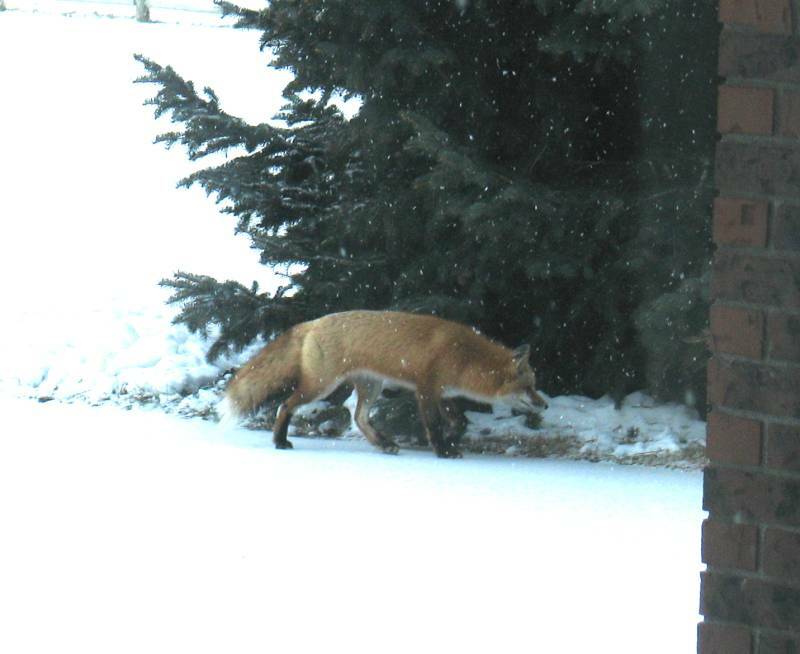 Soon the fox jumped about three feet up into the crotch of the tree. 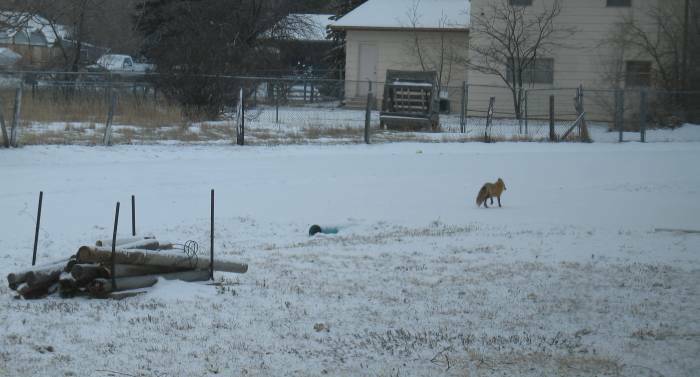 At that instant the squirrel rushed straight up to where we see it (top box). 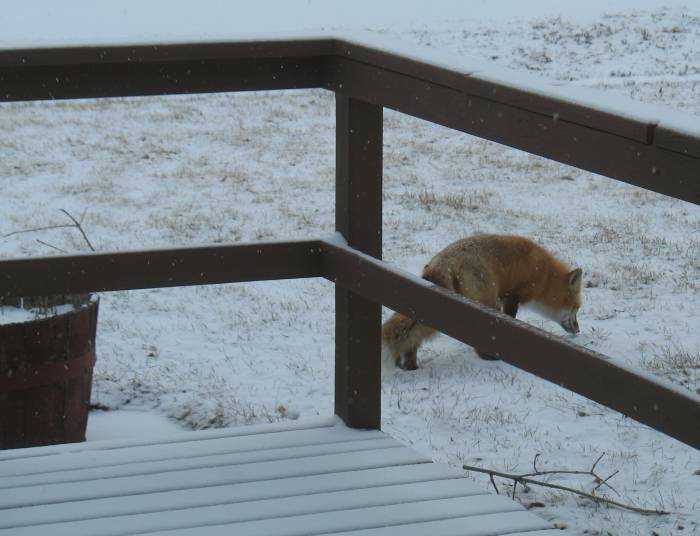 A moment or so later the fox decided to leave (bottom box). 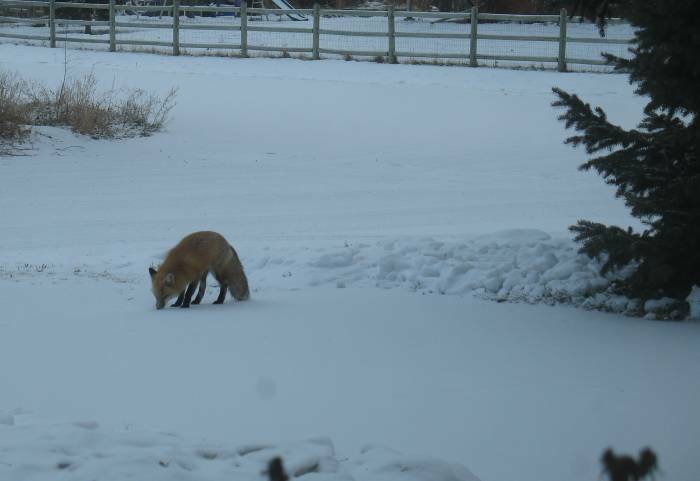 Back yard - looking over towards the neighbors yard (the dog might be out). 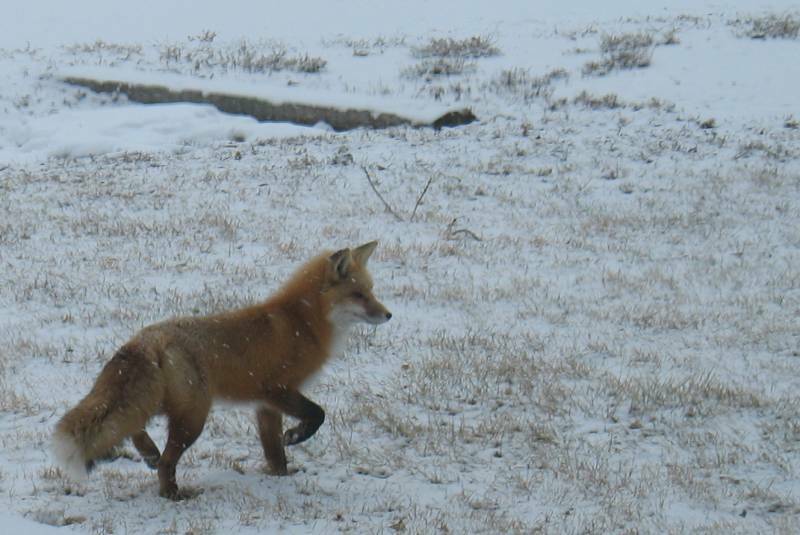 About twenty minutes after the fox came through another came up the driveway. 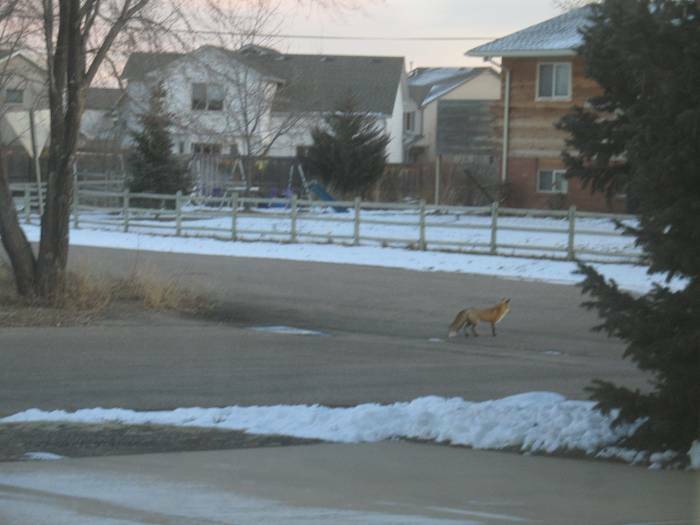 Now I'm wondering if it could be the same fox. 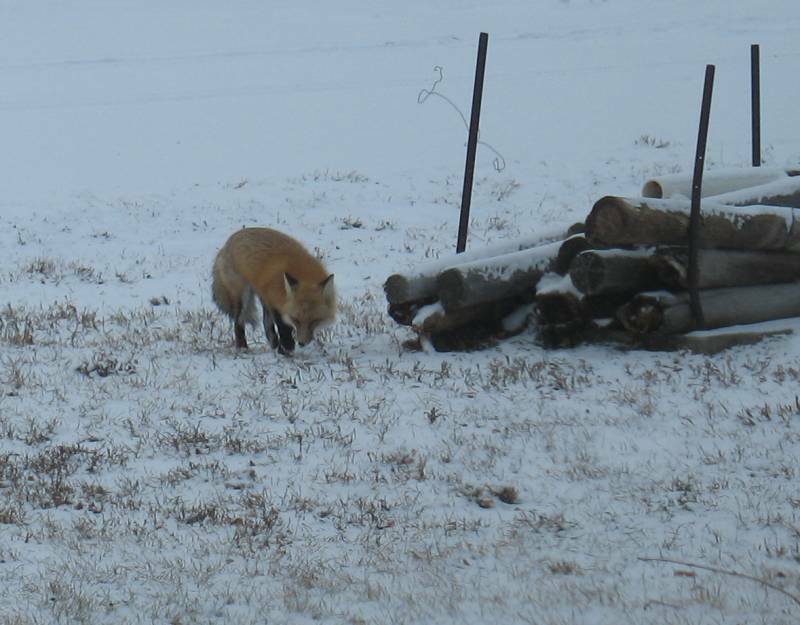 As best as I can tell this fox has less white on the tip of its tail. 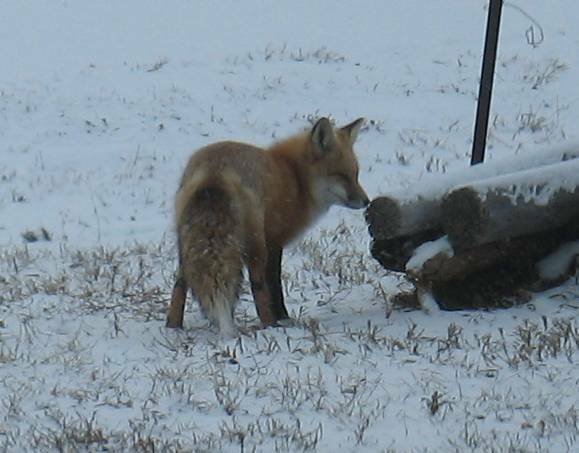 Each stopped at this item in the yard. I should see what it could be (it was an old wash cloth). Head'n down the road (their common path).